I discovered this place not too long ago, and I can really suggest you check it out. The place has a great atmosphere and a lot of cultural background. Lentil As anything serves a range of amazing vegetarian dishes. Being a vegetarian place, this should not stop those who are more sceptic. The food is inspired by many cuisines around the world, some of which include India, Africa, Nepal, Asia, Australia, Sri Lanka, and many more. The chefs at Lentil As Anything bring their own cultural influence into their food with different delicious spiced curries, finger foods, but also pasta and risotto. Shanaka Fernando, the founder of this amazing place, has different restaurants around Melbourne. All of them receive thousands of people every week. 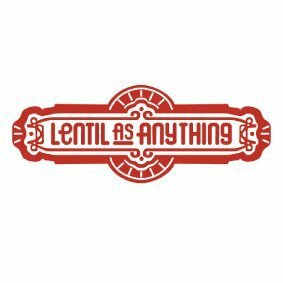 With his unique way of thinking, he has managed to make Lentil As Anything more of a community than a restaurant, where people actually want to go not only for the amazing food but for the people. Just rock up, get a table and enjoy the multi-cultural buffet offered to you. The next best thing about it, is that you can donate what ever you feel appropriate. Lentil As Anything also offers a catering service for any occasion! You can find Lentil As Anything in four different locations around Melbourne: St Kilda, Abbottsford, Brunswick and Footscray. Check out their website for more information or visit their Facebook page if you want to become a fan. Where: Melbourne: St Kilda, Abbottsford, Brunswick and Footscray.